I am already starting to think about back to school meal ideas, and easy ones at that. I love to use my slow cooker every chance I get, and this Slow Cooker Apple Pork Tenderloin is a new favorite. It’s quick and easy, and it only uses three ingredients. I love it when something delicious is also quick, don’t you? You are going to love the flavors in this, and it only takes a few minutes to get it started. Are you ready for a little slow cooker magic? 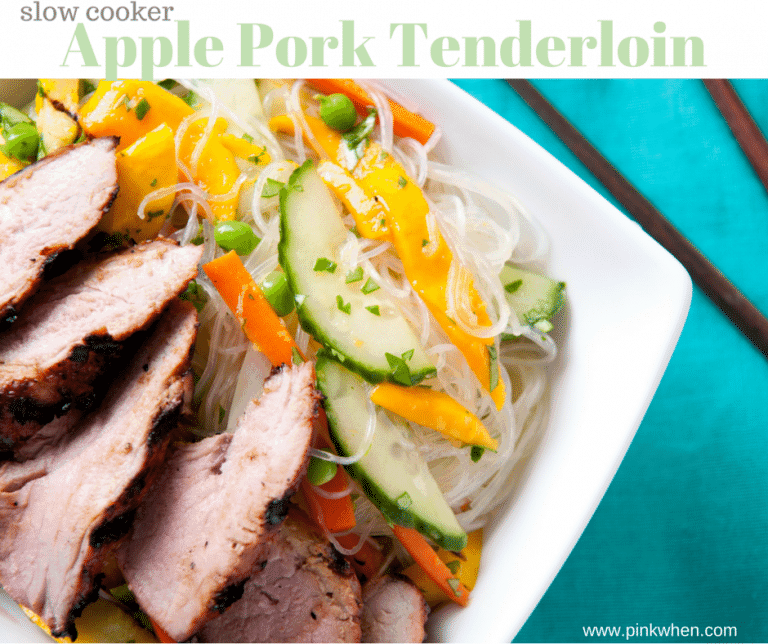 And if you like this apple pork tenderloin, you should check out these slow cooker freezer meals. Just make ahead and freeze for later! Now let’s get to this Apple Pork Tenderloin. I use my slow cooker for just about everything I possibly can. It’s nice to have on hand, and I like to think of it as a grown up magic trick. Seriously! You throw a few things in the pot. Put on the lid. Leave it alone for hours. Come back home and BAM! It’s a delicious meal. That’s pretty darn awesome in my book. Now let’s talk about this Slow Cooker Apple Pork Tenderloin. It’s easy to make Paleo if you omit one of the ingredients (cinnamon sugar). Either way, it’s a delicious and healthy meal. Ready to get started? To get started, take your pork tenderloin out of the package and rinse it clean. and it literally takes seconds!) Obviously you don’t have to use an apple slicer, but seriously, it’s FAST and I am a sucker for a time saver. Once your apples are sliced, sprinkle a little cinnamon sugar on them. Just a really light coat will do fine. Slice the pork tenderloin about 3/4’s through and then insert the apple slices into the slits. Place remaining apple slices into the bottom of the crock pot. Place the tenderloins on top, and then add 2 cups beef broth. Cover and bake on high for 4 hours or on low for 8 hours. It’s super juicy and full of flavor. Not to mention, it only takes a few ingredients! If you are looking for a new and delicious meal for your family, this Slow Cooker Apple Pork Tenderloin needs to be on your menu soon. You can also add a little mango salad as your side. YUM. Click on this video link so you can see exactly how easy it is to make. What are your favorite things to make in your slow cooker? If you liked this Apple Pork Tenderloin, make sure you check out this great list of slow cooker freezer meals. You just make them ahead and put them into the freezer until you are ready to make them. Talk about making life simple! Check it out here. Am I the only one wanting the recipe for that (what looks like either) rice noodles or cellophane noodle pasta salad on the side?? This looks so delicious and easy! Can’t wait to try it! Thanks for this recipe. Now I know what I will having for dinner tomorrow night. Thanks for linking up on the #HomeMattersParty this week. Hope you will come back next week to link up again. Yum, yum! 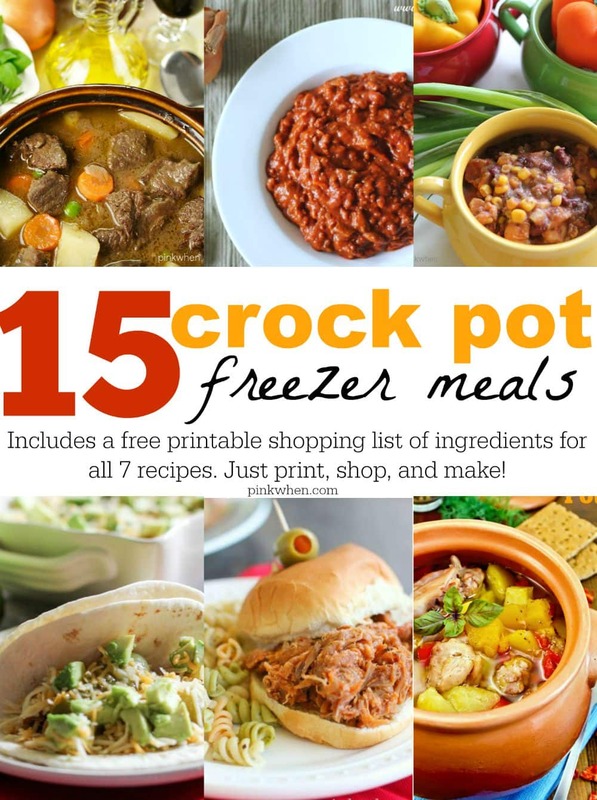 I’m always looking for crock pot recipes, and this one is a keeper. Thanks for linking up this us this week at Dream. Create. Inspire. Link. I made this for our dinner & wow! We really liked it. I had one little serving left. I will make this again. Keep making those videos too- they help visualize what we are going to be doing.???? Recipe says beef broth, but video looks like chicken broth. Could you use either one? I’ve never cooked pork tenderloin before and this recipe doesnt say how many pounds to use. Since I’m not super experienced with the slow cooker or cooking in general I’m afraid to try it without exact measurements. Generally I use 1.5 to 2 pound tenderloins.